Find albums crafts, photo album craft and homemade scrapbook albums here. Craft can be described as a set of activities that requires skill, innovation and dedication, on the part of the learner, to create a desired object. In simple words, it is a combination of ideas and their practical uses to bring out an art piece. Crafts can be classified into many categories, totally depending upon the way they are created. 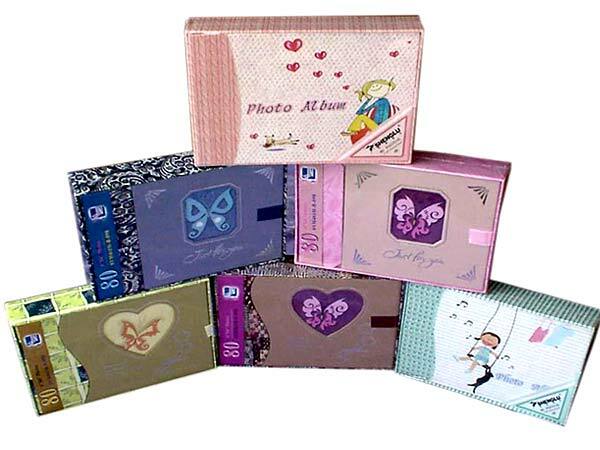 One of the categories comprises of album crafts, which include photo albums and homemade scrapbook albums. All these crafts help you store the memorable moments that you have captured through camera and keep them with you forever, reviewing and revisiting anytime we want. Almost all the old people love to go through albums, as they help them recollect the lovable moments of the past. An album also gives them interesting subjects to talk about and they go back to their golden days. The album crafts help in making each moment of our life, which has been captured by a camera, special for us. Craft albums like Christmas albums, wedding albums and treasure chest book can easily be adapted to make a beautiful gift for someone. Each of these albums can be improvised upon to suit different occasions, such as birthdays, anniversaries and other moments that hold a special place in our life. If you hate throwing your Christmas cards away every year, the idea of making a Christmas keepsake album will surely woo you. Most of us like to keep our Christmas cards and letters for remembrance, so that we can look through cheering memories of the past and smile. The double-hinged treasure chest book makes a wonderful gift for kids. It proves to be a step by step guide for children, to explore things. It can serve many purposes; say kids can use the top paper to write a word and the bottom to write the definition. Wedding is the special moment of an individual's life, which always remains fresh in the mind. A beautiful wedding photo album preserves those precious wedding moments, for the lifetime. If planned, then a wedding photo album can be a great wedding gift idea.